The Government Benefits Team at Victoria Collier’s firm prepares, files, and follows up on all VA and Medicaid applications. Though I can say that the majority of our applications are processed from submission to approval in a fairly straightforward manner, that is not always the case. As an introduction to the type of work that our Government Benefits Team does, I want to tell you about a challenging VA case that one might say we recently resolved successfully. Names and personal information have been omitted to protect privacy. Our client is a widowed Army veteran who served during the Korean War. He had moved to an assisted living facility in September 2010 due to numerous medical conditions, including dementia, diabetes and coronary artery disease, when his family consulted the firm later that same year. The fully developed claim for the Department of Veterans Affairs (VA) Improved Pension with Aid & Attendance was filed in May 2012, although we had already locked in an effective date of October 2011 by filing an informal claim (now known as an Intent to File). Among the veteran’s assets was a commercial property that was co-owned with four other non-related individuals. In the claim, we stated to the VA that this property should not be considered a countable asset to the veteran because it was not readily or easily convertible into cash, as it had several co-owners and had been for sale for over four years with no interest. Shortly afterwards – in VA terms, three months later – the VA requested further information regarding investments, income and expenses, to which the firm replied within the 30 days stipulated. The claim was denied less than two weeks later for failure to provide information requested. That was September 24, 2012 – four months and 17 days after the submission of the fully developed claim. Though slow to approve, the VA is quick to deny. After this, correspondence between the firm and the VA continued back and forth for over three years. The VA continued to insist that just because the commercial property had not sold did not mean it could be deemed to have a $0 value. We continued to argue that pursuant to federal regulations (38 CFR §3.275 (d)), a factor to be considered when determining net worth is whether an asset can be readily converted into cash at no substantial sacrifice. Thus, in this case, the property had been listed on the market for over four years with no signs of interested buyers and was owned by five different individuals. Even if the veteran wanted to dispose of his proportionate share, he had to have the agreement of the four other owners. Effectively, the veteran did not have access to the value of this property in order to consume it for his living and care expenses. During this period, we had to enlist the assistance of Georgia Senator Johnny Isakson twice (2013 and 2014) to elicit information from the VA, and we appealed and appealed – filing two separate Notices of Disagreement – to which the VA responded by issuing two further denials in 2013 and 2014. Finally, a VA form 9 Appeal to the Board of Veterans’ Appeals (an administrative appellate level within the VA) was filed in September 2014. At this stage, processing takes much longer – usually three to four years – before you can expect a hearing to be scheduled; thus, we prepared for a long wait. By October 2015, it was clear that our veteran could not wait that long. His health continued to decline, his medical expenses had increased, and since it was now three years, five months, and 27 days since the formal claim was filed, we filed a motion for advancement of the case on the docket in order to expedite the appeal based on his advanced age, serious illnesses and financial hardship. Before drafting this request, we reviewed the case one more time and made some calculations based on the veteran’s net worth in 2011, including his one-fifth share of the commercial property that the VA was so insistent on counting as part of his net worth. We ran what is called a net worth calculation with age analysis and found that the veteran, despite having net worth of over $158,000 in 2011 with the inclusion of the commercial property, still did not have sufficient net worth given his assets, medical expenses and life expectancy. These calculations and conclusions, along with our request to expedite, were received by the Board of Veterans Appeals on November 3, 2015. The board overturned the denial and awarded full benefits. The VA letter awarding the maximum monthly pension benefit retroactive to October 2011 was dated February 2, 2016 – a full three years, eight months and 26 days after submission of the fully developed claim. The good news is that the veteran, who, started receiving the maximum monthly benefit in March 2016 and is expecting a lump sum deposit of over $90,000. The bad news is that, because of the veteran’s diagnosis of dementia, the VA proposed a finding of incompetency and is not going to release the $90,000 until a fiduciary has been appointed to manage his VA benefit. If the veteran dies before receiving this lump sum, chances are that most of the $90,000 benefit will not be paid to his estate. There is no one in the family, such as a surviving spouse or a disabled child, who can assume the claim, and the only other means of claiming accrued benefits would be if someone personally paid expenses related to the veteran’s last illness and burial. Furthermore, that someone would have to spend at least the amount owed ($90,000+) in such expenses to recoup the full amount due to the veteran. Not only is it unlikely that the veteran will have more than $90,000 in last illness and burial expenses, but even if the expenses were generated, the family could not afford to pay these. The family would have to be satisfied with reimbursement of these expenses, but nothing more. Meanwhile, we will continue to consider this VA case as a victory; however only time will tell if the benefit that the veteran waited almost four years to be awarded will ultimately be paid out. By Sabrina A. Scott, Senior Paralegal, The Elder & Disability Law Firm of Victoria L. Collier, PC and Director of VA Services for Lawyers With Purpose. Victoria L. Collier, Veteran of the United States Air Force, 1989-1995 and United States Army Reserves, 2001-2004. Victoria is a Certified Elder Law Attorney through the National Elder Law Foundation; Author of “47 Secret Veterans Benefits for Seniors”; Author of “Paying for Long Term Care: Financial Help for Wartime Veterans: The VA Aid & Attendance Benefit”; Founder and CEO of The Elder & Disability Law Firm of Victoria L. Collier, PC; Co-Founder of Lawyers with Purpose; and Co-Founder of Veterans Advocate Group of America. In response to an inquiry from Karen B. McIntyre of Veterans Information Services, Inc. regarding the proposed VA rulemaking AO73, Net Worth, Asset Transfers, and Income Exclusions, the following email was issued to extend – yet again – the date for possible publication of the final rule to April 2017. Victoria Collier has received confirmation that the proposed rule has not yet made it to the Office of Management and Budget (OMB), which will need to have its own review of the proposed regulations before they can become final. The rulemaking is not yet final. Due to the complexity of the rule and the large number of comments received, we do not anticipate publication of the final rule before April 2017. The draft final rule contains several changes as a result of some of the comments we received. However, because it is still a draft and VA has not finally approved the changes, I can't share with you what those changes are. My thanks to Marc MacKenzie for making me aware of this email. I attended a VA Accreditation CLE on October 13th at the State Bar of Georgia that included a speech by Christa Shriber, Deputy Chief Counsel of the VA’s Office of General Counsel (OGC). She provided some valuable information that benefits VA-accredited attorneys. Ms. Shriber confirmed that when accredited attorneys charge fees for assistance with an appeal of a VA decision, there are two ways that fee agreements are to be submitted to the VA for consideration. For cases in which the VA is to directly pay the accredited attorney from the benefits owed to the claimant, the accredited attorney should file the fee agreement at a VA Regional Office specifically to the attention of the Agent and Attorney Fee Coordinator. Addresses for regional offices can be found on the VA website at http://www.va.gov/directory/guide/division.asp. You will also need to complete and submit form SF 3881, "ACH Vendor/Miscellaneous Payment Enrollment Form," to the fee coordinator for processing payment. In contrast, those cases in which the claimant pays the accredited attorney directly once the appeal is successful require the accredited attorney to file the fee agreement with the Office of General Counsel at 810 Vermont Avenue, NW, Washington, DC, 20420. There is a special phone number for VA accredited attorneys to contact the VA for updates regarding claim status: (855) 225-0709. You may require your VA POA number, which would have been provided in your initial accreditation letter or can be found using the accreditation search tool at the VA webpage: http://www.va.gov/ogc/apps/accreditation/index.asp. Finally, for those accredited attorneys out there who are overdue to submit their VA CLE/Certification of Good Standing, whether for initial accreditation or recertification, I recommend that you submit this ASAP. Ms. Shriber mentioned that the OGC was behind in reviewing current CLE and recertification status for VA accreditation, but that they were about to start reviewing the status of all currently listed accredited attorneys. Any accredited attorney who has not submitted their CLE or Annual Certification of Good Standing would receive a suspension letter. Thus, she recommended that anyone who might be behind should submit these right away to avoid suspension. 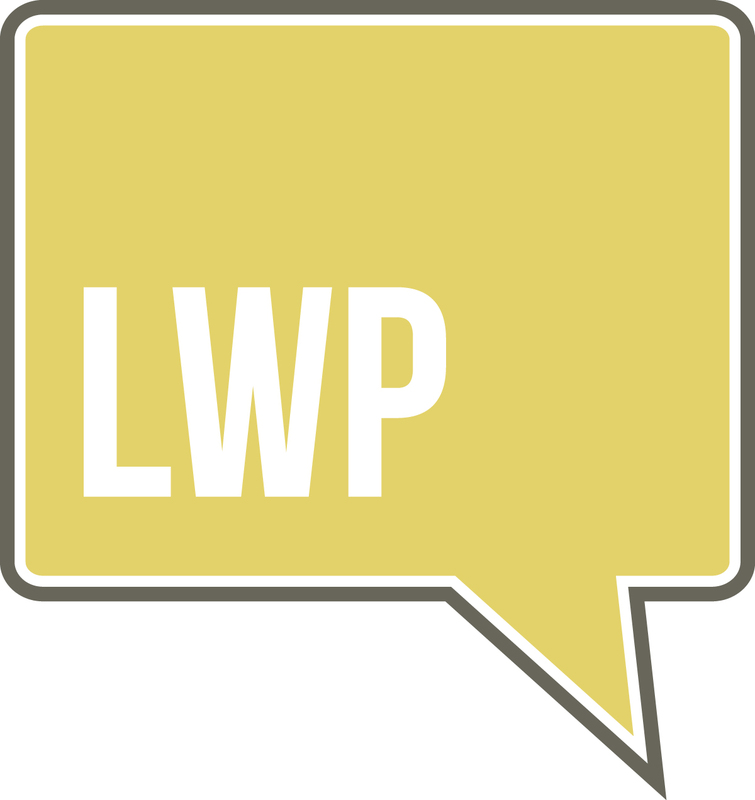 If you're an LWP member, you can log into the members section of the website: webpage http://www.lwpmembers.com/posts/how-to-become-va-accredited for further information regarding VA accreditation. Remember that after initial VA accreditation, attorneys must submit the Annual VA Certification of Good Standing every year affirming that you are an attorney in good standing, and every two years must complete a three-hour CLE pertaining to VA and submit a Biennial CLE Report. If you would like to learn more about becoming a Lawyers With Purpose member click here to download our Membership Brochure - it will tell you everything you get and all the benefits of joining. When planning for a VA client, practitioners often spend the bulk of their time considering the claimant’s eligibility in terms of their net worth and income. And these are very important things to consider for VA non-service-connected disability pensions, particularly because the bulk of your clients are probably not initially financially eligible. Before you dive headlong into the numbers, though, remember that there are other requirements for eligibility that have nothing to do with money or finances. In order to determine whether a veteran is entitled to a non-service-connected disability pension, you must consider his or her military service in terms of the wartime period, the minimum active-duty service requirement and the character of the military discharge. The requirements in these three areas in a nutshell are listed below. Received a discharge other than dishonorable. Wartime periods are defined by Congress, and most of the veterans you encounter will probably have served during World War II, or the Korean or Vietnam wartime periods. The minimum active-duty service requirement is that the veteran must have served 90 days on active duty. What does active duty mean? It is defined in 38 U.S. Code §101(21) as full-time duty in the Armed Forces; as a commissioned officer of the Regular or Reserve Corps of the Public Health Service; as a commissioned officer of the National Oceanic and Atmospheric Administration; service as a military cadet; and authorized travel to or from such duty or service. The Armed Forces includes the five branches: Army, Navy, Marine Corps, Air Force, and Coast Guard, as well as the Reserve in these branches. There are other categories of military service that I have not included here because they are not conventional and thus not as commonly encountered. For example, certain service in the military of the Philippines, the Women’s Army Auxiliary Corps and the American Merchant Marine during WWII qualifies, as well as the work by certain civilians on Wake Island during the same period. Active duty does not mean any service related to training, such as active duty training or inactive duty training, neither one of which entitles a veteran to non-service-connected disability pension, no matter how much time is served. Although there is a minimum active-duty service requirement that the veteran must have served 90 days on active duty, there is no minimum length of service required beyond that for veterans with active service prior to September 8, 1980. Therefore, for most of your clients who are veterans of earlier wartime periods, this will not be an issue as long as they served at least those 90 days. For those veterans with active service after September 8, 1980, the minimum service requirement for benefits such as health care and non-service-connected disability pension (with some exceptions) is 24 months or the full period for which a person was called or ordered to active duty, whichever is shorter. The requirement for the character of the military discharge is that the veteran received a discharge other than dishonorable. The VA will consider a discharge as “under conditions other than dishonorable” if there are no statutory or regulatory bars to VA benefits in that particular circumstance. Statutory bars include when someone is discharged or released as a conscientious objector, because of a general court-martial, as a deserter, or as a result of an absence without official leave (AWOL) for a continuous period of at least 180 days. For example, if it is found that the person was insane at the time of committing the offense that caused such a discharge or release, then the discharge would not be considered a statutory bar. Another exception is for AWOL cases: If there are compelling circumstances to justify the absence without official leave, this may not constitute a statutory bar to benefits. Regulatory bars include a discharge or release because of criminal offenses such as mutiny, treason, espionage or sabotage, but also for offenses involving moral turpitude, willful and persistent misconduct, or for homosexual acts involving aggravating circumstances or other factors affecting the performance of duty. It should be noted that the VA has proposed revising the last regulatory bar to change “homosexual acts” to “sexual acts.” Again, these regulatory bars may not apply if insanity can be shown to have been a factor when the offense was committed. Things can become complicated when a veteran has multiple periods of active duty service and the character of the discharges varies. In general, if a veteran has a discharge that is other than dishonorable for a particular period of service, he/she might still be entitled to benefits on the basis of that term of service despite any later disqualifying discharges for subsequent service periods. However, serious offenses may forever bar a veteran from entitlement to VA benefits regardless of any honorable discharges for prior service periods. For all the specifics regarding wartime periods, active duty service requirements and military discharge, go right to the source at 38 United States Code Part I - GENERAL PROVISIONS §§101 – 109 and 38 Code of Federal Regulations (CFR) §§3.1 – 3.17, 3.40 – 3.41, 3.50 – 3.60. If you want to learn more about Lawyers With Purpose and what we have to offer, download our Membership Brochure HERE. You Bet Your VA Life Insurance! Among the benefits that veterans may access through the U.S. Department of Veterans Affairs (VA) is life insurance. Considering the often-hazardous duty that veterans have encountered and survived, the VA’s life insurance programs are meant to offer a measure of financial security to the family for little or no cost. And proceeds from a life insurance policy on a veteran, no matter whether a VA policy or not, are not considered income by the VA, which can be a valuable benefit for a surviving spouse. The various VA life insurance programs are listed below with the ubiquitous corresponding VA acronym. As the names suggest, not all of these life insurance programs are meant for veterans. The only ones that are available to veterans are the last three. The first four programs are applicable to active service members or their dependents. Specifically, Service members' Group Life Insurance is term life insurance coverage for eligible service members that extends until 120 days after separation from service. Coverage under SGLI is $3.50/month for increments of $50,000 up to a maximum death benefit of $400,000 at a maximum monthly premium of $28. Apart from basic SGLI, there are three versions of SGLI for specific circumstances. For an additional $1 premium per month, Service members'’ Group Life Insurance Traumatic Injury Protection (TSGLI) provides for a benefit paid in life if the service member suffers a loss due to traumatic injury like amputation, blindness, and paraplegia. There is also SGLI for dependents called Family Service members' Group Life Insurance (FSGLI). And the Service members' Group Life Insurance Disability Extension (SGLI-DE) is an extension of coverage for up to two years if the service member is totally disabled at separation. After eligible active service, only veterans, and not their dependents, have VA life insurance options: the Service-Disabled Veterans’ Insurance (S-DVI), Veterans’ Group Life Insurance (VGLI), and the Veterans’ Mortgage Life Insurance (VMLI). Veterans who receive a new service-connected disability rating have two years to apply for Service-Disabled Veterans’ Insurance (S-DVI). A “new” service-connected disability rating does not include an increase of a previously held rating, nor a rating of Individual Unemployability, which is a special rating under which the VA can pay 100% of full disability compensation to someone whose service-connected disabilities are not rated at that level. Basic coverage under S-DVI, which offers both term and permanent type plans, starts at $10,000, and supplemental coverage can be purchased up to $30,000. If the new service-connected disability began before the age of 65 and lasted six consecutive months, the premiums for the first $10,000 in S-DVI coverage are waived. The final insurance program available to veterans is Veterans’ Mortgage Life Insurance (VMLI), which is specifically for severely disabled veterans who have received a VA Specially Adapted Housing (SAH) grant to help build, remodel, or purchase a home, have the title to the home, and have a mortgage on the home. There is also an application deadline of age 70. A VMLI policy provides coverage equal to the amount of the mortgage still owed, up to $200,000, and is payable only to the mortgage holder. It is a decreasing term life insurance that reduces as the mortgage balance declines. There is a convenient tool called Overview of VA Insurance Benefits created by the VA that allows you to pick the insurance program and then get further guidance on specific program eligibility. If a service member is qualified for SGLI, he or she, along with their non-service-member spouse, is automatically enrolled. To qualify, the applicant has to be an active-duty member of the Army, Navy, Air Force, Marines, or Coast Guard; a commissioned member of the National Oceanic and Atmospheric Administration or the U.S. Public Health Service; a cadet or midshipman of the U.S. military academies or the Reserve Officers Training Corps (ROTC) engaged in authorized training and practice cruises; or certain reserve members. Veterans, on the other hand, must complete applications for VA life insurance products. Complete and file form VA Form 29-4364 for Service-Disabled Veterans’ Insurance (S-DVI) or apply online at https://www.insurance.va.gov/portal/. Veterans’ Group Life Insurance (VGLI) requires completion of VA form SGLV 8714 or an online application at the Prudential website: https://giosgli.prudential.com/osgli/web/OSGLIMenu.html. Finally, one can only apply for Veterans’ Mortgage Life Insurance (VMLI) by completing VA form 29-8636. If you would like to learn more about becoming a Lawyers With Purpose member consider joining us in the room the week of October 24th - October 28th in Houston for The Law Profit Summit and the Tri-Annual Practice Enhancement Retreat. We promise it WILL change your practice! By Sabrina A. Scott, Paralegal, The Elder & Disability Law Firm of Victoria L. Collier, PC, and Director of VA Services for Lawyers with Purpose. Victoria L. Collier, Veteran of the United States Air Force, 1989-1995 and United States Army Reserves, 2001-2004. Victoria is a Certified Elder Law Attorney through the National Elder Law Foundation, Author of “47 Secret Veterans Benefits for Seniors”; Author of “Paying for Long Term Care: Financial Help for Wartime Veterans: The VA Aid & Attendance Benefit”; Founder of The Elder & Disability Law Firm of Victoria L. Collier, PC; Co-Founder of Lawyers with Purpose; and Co-Founder of Veterans Advocate Group of America. The latest version of the Lawyers with Purpose Client-Centered Software (LWP-CCS) was recently released and can be downloaded by using the link emailed to all qualifying members. Instructions on how to install the update are included. Please contact Member Services if you have not received an email. Updates were made to the Medicaid and VA modules and the LWP-CCS forms; the changes are summarized below. Statutory wartime dates for VA eligibility have been added to the MedQual Worksheet as a reference aid. Further changes were made to the Asset Risk Analysis to show the rate of loss to a nursing home when in a "crisis" situation. You may also notice that the termination language in the Personal Services Agreement has been simplified per member feedback. We also updated and simplified the language of the Termination section in the Personal Services Agreement. There have been some state-specific changes to the form documents at the request of our state bar members. We also updated the Illinois Health Care Power of Attorney. As another quarter is coming to a close for 2016 without us hearing a peep regarding the proposed VA look-back period, changes to the VA module were minimal with this release. As done for the MedQual worksheet, wartime dates for VA eligibility were added to the VA HotDocs Interviews for convenient reference. The most important update was the new version of the main application form for filing for veterans improved pension; namely the VA form 21-527EZ Application For Pension is now the 21P-527EZ. Although this is an important update due to the significance of this form and the need to use VA-prescribed forms, the actual changes were negligible, consisting only of the addition of the letter P to the form number and a new revision date of April 2016. Another VA form that was updated is the 24-0296 Direct Deposit Enrollment, which you may use to enroll in direct deposit of VA payments into a bank account. Another change was made at a member’s suggestion regarding the healthcare provider statement that is generated either through the VA Intent to File Interview or the VA Formal Claim Interview to document certain medical expenses. This document was generating by default with the veteran’s name in the field, “The following services are provided to: _________.” This latest release has removed this default so that this field now remains blank and this form can be used for the veteran and/or the spouse as needed. This last change illustrates how Lawyers with Purpose benefits from you, our community of members, in improving and developing our software. We are always open to any ideas that allow us to provide you with the most current, useful, and efficient tools for your firm. Always let us know how we can be better! If you're a Lawyers With Purpose member and use Actionstep, the corresponding software release and separate instruction file is available for download now in the Software section of the members’ Lawyers with Purpose website at http://www.lwpmembers.com/posts/lwp-actionstep-hotdocs-integration. The changes in the Actionstep release are identical to those listed above. If you want to learn more about our drafting software click here to schedule a live demo. When I was in high school, I took Latin for two years as my foreign language elective. “What a waste,” I thought, until a few weeks ago, when I took my family to Italy. The trip was actually a business trip to brainstorm with colleagues in Florence. Time away from my office to work on my business with extremely intelligent, successful lawyers is always beneficial. But I had no idea how much I would learn about business and sales just by walking the streets. Based on the questions my children asked, they too learned valuable lessons. First, the canals in Venice were lined shop after shop with uniquely blown glass of jewelry, animals, tableware, and anything else imaginable. On each Florence corner, and between each corner, were gelato (ice cream) stores. The plazas in Rome were bordered by restaurants, shoulder to shoulder, each with virtually identical menus. Nothing stood out. How did any of them get business? Why were some packed while others were bare? He started with something small – “Would you like to sit and have a special drink” – without presuming a person was hungry for a full meal. He walked toward the table and said, “Table for four right here for you,” confidently, as if the sale had already been made. They filled the tables closest to the walkway first, then behind, to provide social proof of those walking by that the restaurant was desirable. Specialize and don’t confuse the market by selling too many products. Not all sales strategies I observed were effective. In fact, some were quite offensive. First, after we climbed next to the Spanish steps (the actual steps were under construction), a rose peddler approached and I said, “No, thank you,” then, “No, grazie.” He persisted and said, “It is a gift for you to give to Saint Mary (in the church at the top of the steps).” He handed me three roses as a “gift.” I turned away and he then pulled my arm and held out his hand for money. I reluctantly put in two Euros and he asked for more based on the value of three roses. Jennifer was not as considerate as I was: She took two roses from my hand, thrust them back at the guy and said, “Take your roses and leave us alone.” There was no way I was getting the third rose out of my daughter’s hands. Similarly, while walking through a plaza toward a merry-go-round, a balloon artist handed my daughter a balloon and said, “This is for you.” Naturally, Katherine took it, said, “Thank you,” smiled real big, and began skipping. The balloonist looked to Jennifer for the money (who had none). Jennifer had to take the balloon out of Katherine’s hands, to a crumbling face, and ask her, “Do you want the balloon or the merry-go-round?” A good lesson for Katherine about choices and priority, but an ill-attempted sales strategy by the balloonist. Two other lessons we picked up based on questions or observations from my son. First, in all three cities we visited, we saw panhandlers, many of whom presented as homeless. Then, on the plazas we enjoyed individuals showing off their talents (juggling, singing, magic, etc.) to earn money thrown into a pan or hat. Christopher asked, “Do only homeless people do tricks for money?” I replied, “No, honey, only the hungry.” That is a generalization, of course. The meaning behind my response was, “Those willing to put themselves out there to earn a living for their needs will do what it takes to earn money.” Satisfied with that response, when we stumbled upon the Roma Gay Pride celebration near the Colosseum, both children were dancing and really enjoying themselves. Christopher said without any hesitation, “Mommy, can I have a can so people can put money into it for our dancing?” I laughed and told him no, but the real lesson was that he was willing to unabashedly “entertain” and make money while I, on the other hand, was too embarrassed to let him. How many people engage in marketing strategies that work very well, but that you refuse to do based on your own limiting beliefs or pride? The second lesson my son pointed out was at the Trevi Fountain. The legend is that if you throw a coin in the fountain, then you will return to Rome. My son aptly pointed out, “That is just a trick to get you to give them money.” True. Nonetheless, how many people throw the coin? It’s not about throwing the coin or not, it’s about the experience of throwing the coin. How can you be a fountain to your clients, where they are willing to throw coins just for the ongoing relationship or experience (e.g. maintenance plan)? When you are out of your office, pay attention to the sales strategies of other businesses. If you were in Rome, would you do as the Romans do? Can you incorporate any of the lessons in your own office? Executive Order (EO) 13658 “Establishing a Minimum Wage for Contractors” was signed by President Obama on February 12, 2014 to raise the minimum wage to $10.10 for all federally contracted workers. The intent of this EO was “to promote economy and efficiency in procurement by contracting with sources who adequately compensate their workers.” However, there may be unintended consequences to this federally mandated minimum wage increase in the form of a decrease in VA-contracted nursing homes. The implementing regulations were drafted by the Department of Labor, followed by a public comment period that attracted more than 6,500 comments. The final rule became effective on December 8. It raises the hourly minimum wage paid by federal contractors and subcontractors to workers performing work on covered federal contracts to $10.10 per hour. It applies to contracts beginning January 1, 2015 and also includes potential future increases by an amount to be determined annually by the Secretary of Labor. In 2016, it was increased to $10.15. Contracts entered into on or before the effective date of January 1, 2015 will not have to comply with the 2015 federal minimum-wage increase until they expire. Prior to 2015, the McNamara-O'Hara Service Contract Act (SCA) determined what federal contractors would pay service employees based on the size of the contract. For contracts equal to or less than $2,500, contractors were required to pay no less than the federal minimum wage of $7.25 in effect as of July 24, 2009. Contracts in excess of $2,500 required contractors to pay their employees rates competitive with the local market unless previously negotiated in a prior contractor's collective bargaining agreement. Although EO 13658 is projected to benefit around 200,000 minimum-wage workers (Department of Labor Fact Sheet: Final Rule to Implement Executive Order 13658, Establishing A Minimum Wage For Contractors), it may incidentally impact veterans’ long-term care, and not for the better. Contracting agencies – like the Veterans Administration – are not only responsible for ensuring that the clause implementing the Executive Order minimum wage requirement is included in any new contracts or solicitations for contracts, but they must also withhold funds when a contractor or subcontractor fails to comply with that clause. For this reason, there are nursing homes that are choosing not to renew or pursue VA contracts due to the financial impact of the requirement to increase the salary of any minimum wage employees. Unlike VA Community Living Centers that are owned and run by the VA and state veteran’s nursing homes that are owned and run by the state, contract nursing homes are privately owned but have contracts with the VA to provide long-term care paid or subsidized by the VA. What does EO 13658 mean to such nursing homes? This year it means that, if they want to contract with the VA, they will have to pay their employees at least $10.15/hour – an increase of 40% over the older federal minimum wage of $7.25. Some nursing homes are small and will simply not be able to afford this mandate, and those nursing homes that can afford it may decide the VA contract is not worth the cut into their profit margins. A further nail in the coffin lid of VA-contracted nursing homes may be the proposed EO 13706 Establishing Paid Sick Leave for Federal Contractors signed by President Obama on September 7, 2015. The comment period, which was extended through April 12, 2016, is now over, and we are awaiting publication of a final rule that promises to require federal contractors to also provide paid sick leave to their employees. Receiving mail from the Department of Veterans Affairs (VA) may be a source of excitement for some folks, particularly when they are waiting for news of an initial VA decision. However, once a claimant is getting the correct monthly benefit, correspondence from the VA is generally not good news. Unfortunately, there are times when the VA decides that benefits were awarded and paid in error, resulting in an overpayment demand from the VA’s Debt Management Center. The Debt Management Center (DMC) is a separate department from the Pension Management Center (PMC). The PMC may send you a decision letter explaining why a claimant’s entitlement has changed, but it is left to the DMC to issue the actual request for repayment if the change in entitlement has resulted in a so-called overpayment. This is done via a form letter punctuated by only a few personal details, such as the type of benefit, the amount of debt, and the date on which the VA plans to start withholding benefits until the amount overpaid is recouped. The horror is compounded by the convenient payment remittance stub at the bottom, by which the VA hopes you will pay in full within 30 days. Overpayment demands occur for various reasons. The claimant’s income may have increased and/or there is a decrease in medical expenses, so he/she no longer qualifies for the same monthly benefit. Or the claimant may have received an inheritance that disqualified him/her completely, based on the VA treating the inheritance as both income and countable assets after a certain date, even though the claimant continued to receive a benefit. If there is indeed more income/less medical expenses than previously reported, consider submitting actual medical expenses for the same time period if sufficient to offset the discrepancy. However, just because the VA claims to have overpaid, that does not necessarily mean that the claim is accurate. Sometimes an overpayment demand is simply the result of a clerical error or the VA considering historical income and/or asset information that should be irrelevant post the effective date. When you receive an overpayment notice from the DMC, you must generally respond in some way within 30 days of the date of the letter. Responding within this time frame will also ensure that any scheduled withholding action does not occur until after your response is considered by the VA. How you respond depends on whether the overpayment demand has merit and/or whether or not the claimant can repay the debt. If the claimant does owe the debt, the back of the form letter gives you four different ways to pay: by phone, by mail, online, and via Western Union Quick Collect. The DMC has its own toll-free number: (800) 827-0648. If you cannot afford to pay the entire debt at once, the VA is willing to make arrangements for repayment over time or even ultimately to grant a waiver of the debt, if the claimant does not have the means to repay at all. Finally, you must remember – having now dealt with the DMC – to consider whether you should also respond to the appropriate pension department. If an overpayment occurred because the VA made an erroneous decision, you would need to file a request for reconsideration or notice of disagreement with the Pension Management Center serving your particular state in order to start the appeal process. I would not count on the VA to consider your dispute of a debt as an appeal of the PMC’s decision. Where in the world is Janesville, Wisconsin? Possible changes to where VA claims should be filed. If you had asked me a few months ago where you should mail your VA non-service-connected (NSC) disability pension claims, I would have answered with conviction . . . it depends! I’m not trying to be funny, it’s just that it literally depended on the state where the claimant resides. Every state is served by one of three Pension Management Centers (PMC): Philadelphia, Milwaukee, or St. Paul. Philadelphia, PA serves the eastern states; Milwaukee, WI serves the central states; and St. Paul, MN serves the rest of the states from Minnesota to the west coast. Alaska and Hawaii are served by the St. Paul PMC as well. Claimants living in Mexico, Central and South America, and the Caribbean should file in St. Paul for NSC disability pension claims and appeals of those claims. Residents of all other foreign countries should file such claims at Philadelphia’s PMC. See Resources below for mailing addresses and a list of all corresponding states and countries. The Pension Management Centers, as their name suggests, focus on pension benefits and do not handle any service-connected-disability compensation claims, or claims for both compensation and NSC disability pension, sometimes called dual claims. Title 38 of the Code of Federal Regulations (CFR) §3.155 on “How to file a claim” begins, “The following paragraphs describe the manner and methods in which a claim can be initiated and filed,” but in all the detail that follows, nowhere does it tell you where specifically to mail a claim. The VA Adjudication manual M21-1 similarly fails to give such particulars. If you search online for “how to apply for veterans’ benefits,” you may eventually end up at the VA website that – as of the time this was written – still clearly directs you to “mail your application to the Pension Management Center (PMC) that serves your state.” However, since last year, rumblings of a change have begun to be heard that the mailing process may be undergoing an update. Per this fact sheet, the U.S. Postal Service is apparently automatically redirecting material that is mailed to Regional Offices or PMCs to Janesville. Specific PO boxes have been designated to specific categories of claims. However, from this hub, the claim will eventually be routed back to the pension management center where you are currently sending your claims for processing. Therefore, those who have been routinely filing NSC disability pension claims at the appropriate PMC may now be faced with a dilemma: obey the “new” – and by no means widely-known – directive, or continue as before. At our law firm, except for replies to VA letters that provide a specific return address, we continue to file all our claims at the appropriate PMC. Some law firms, in an abundance of caution, have started filing at both the PMC and the Janesville EIC. And yet others use only the addresses and fax number in Janesville that are given on the fact sheet. So ask me today where you should mail your VA non-service-connected (NSC) disability pension claims and I will answer with conviction that you should take your pick – from the addresses provided below in the Resources section. If you would like to learn more about becoming a Lawyers With Purpose member join us for our FREE webinar "Running Your Firm Like A Business" on Wednesday, July 27th at 8 EST / 5 PST. Click here to reserve your spot today. Victoria L. Collier, Veteran of the United States Air Force, 1989-1995 and United States Army Reserves, 2001-2004. Victoria is a Certified Elder Law Attorney through the National Elder Law Foundation; Author of “47 Secret Veterans Benefits for Seniors”; Author of “Paying for Long Term Care: Financial Help for Wartime Veterans: The VA Aid & Attendance Benefit”; Founder of The Elder & Disability Law Firm of Victoria L. Collier, PC; Co-Founder of Lawyers with Purpose: and Co-Founder of Veterans Advocate Group of America.